If you are seeking advice on embezzlement UK, please get in contact with our criminal defence team. At Bloomsbury Law, we provide a bespoke service to advise you on all your criminal defence and litigation requirements. For a tailor made service on all criminal defence matters, call us at Bloomsbury Law on 0207 998 7777 for a free initial consultation or contact us via email so we may arrange a call back. Embezzlement is a type of property theft. It occurs when someone who was entrusted to manage someone else’s money or property steals all or part of that money or property for their own personal gain. The offence occurs when an individual has legal access to another’s money or property, but not legal ownership of it and they abuse this authority. Embezzlement UK law is complicated and needs to be distinguished from fraud. The act of embezzlement typically involves the individual or group committing one or more offences under the Theft Act 1968 or the Fraud Act 2006, which can hold serious consequences. When faced with an embezzlement charge, the court will take into account many different factors. Most importantly, they will consider the amount of money or property stolen by the defendant and the effect that has had on the victims involved. In some cases, the convicted individual may be ordered to pay restitution to the victims to total the amount of money stolen. They may also be ordered to pay fines, much higher than the value of money or property embezzled. A Judge will take into account the circumstances of the crime. If the defendant has no criminal record and was motivated by desperate circumstances, such as needing funds for a health crisis, the court may choose to give an embezzlement sentence that does not include a lengthy prison sentence or create severe financial hardship. Community service and restitution may be used as alternatives to prison. 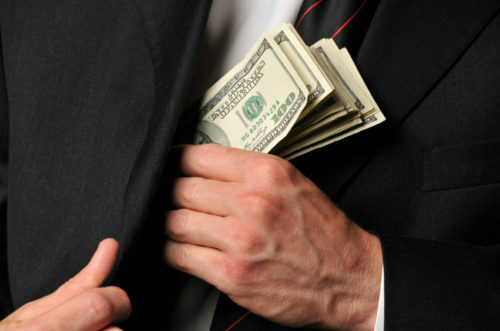 If you are facing charges of embezzlement, you should seek legal advice as soon as possible. We appreciate that this may be a very difficult and stressful time and we can assure you that we will make this process run as smooth as possible. At Bloomsbury Law, we understand that no case is the same. This is why we work on a bespoke level to provide you with the best service possible. If you are seeking legal advice, call one of our specialists, we will listen to your situation, answer any enquiries that you may have, and advise you accordingly once we are instructed. Contact us online or speak to one of our dedicated litigation lawyers on 0207 998 7777 for a free initial consultation. With our vast experience in criminal defence, our team will work with you to ensure this process runs as smooth as possible. All information you provide us with is treated with the utmost confidentiality.